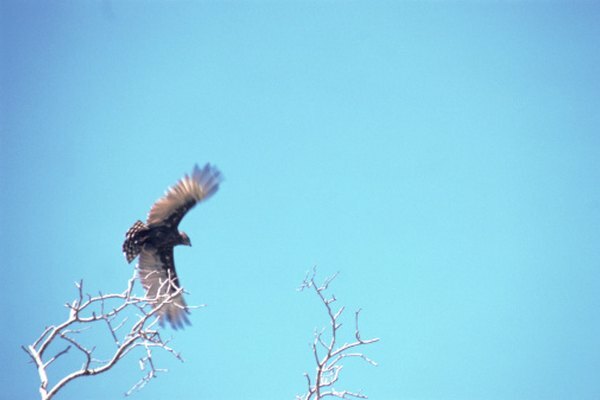 The term "hawk" refers to various birds of prey. Many birds from the sub-family Accipitrinae may be called a hawk however a "true" hawk is any bird of the genus Accipiter. Generally hawks have slim bodies with broad round wings and long tails. 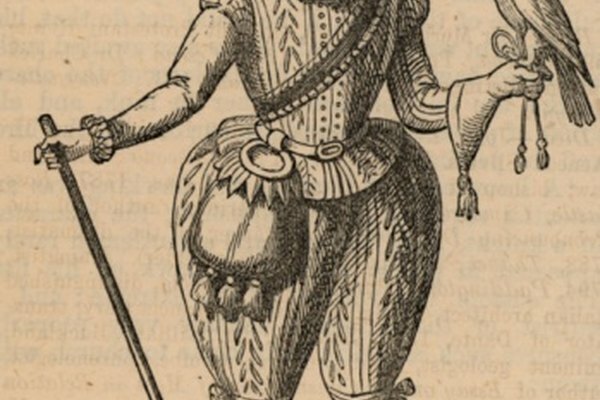 Sharp talons and hooked beaks help hawks to kill their prey. 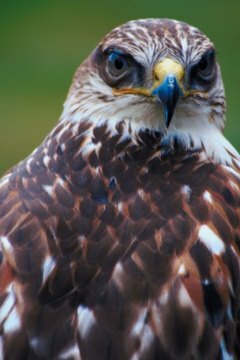 Hawks are known to have very good eyesight and are among the most intelligent of bird species. Accipitrinae, plural for Accipiter, is the genus which includes "true" hawks. This genus also includes eagles, buzzards and vultures. These woodland birds capture their prey by bolting suddenly from concealed perches. With vision significantly more acute than humans, they are a popular genus to tame and train for sport, also known as falconry. Species of Accipitrinae include the crested goshawk, red-chested goshawk, Chinese goshawk, Fiji goshawk, New Britain goshawk, chestnut-flanked sparrowhawk, small sparrowhawk, Chilean hawk, and besra, as well as many others. The Gabar goshawk is an African bird of prey found in many countries across Africa and the Middle East. The genus Melierax, in the Accipitridae family, contains four species of hawk. 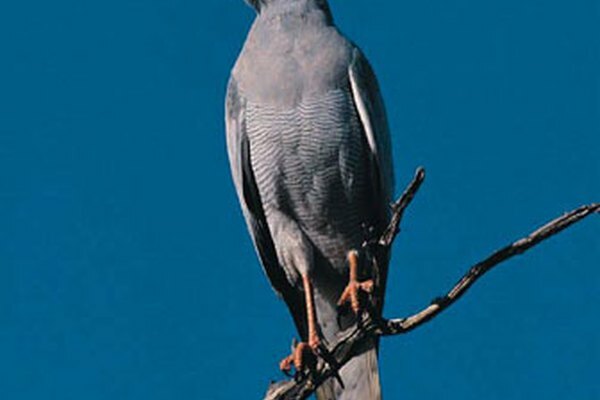 The dark chanting goshawk is a grey-colored hawk from Sub-Saharan Africa and derives its name from its unique vocalizations. The pale chanting goshawk and eastern chanting goshawk are also named for the distinct sounds that they make. The pale chanting goshawk is whiter in color while the eastern chanting goshawk has a bluish hue. The Gabar goshawk is cross listed between both the Melierax and the Micronisus genus. The long-tailed hawk is the only member of the genus Urotriorchis. Its diet consists of primarily squirrels and small birds although it can also hunt chickens, which it finds in African villages near the forests where it lives. The long-tailed hawk breaks its prey's neck when it attacks. There are two species in the genus Erythrotriorchis and both reside in Southern Pacific regions. The chestnut-shouldered goshawk habitat spans Indonesia and Papua New Guinea. The red goshawk is among the rarest of Australian birds of prey, as well as one of the oldest birds of prey in Northern Australia. Its diet consists mainly of other birds. Doria's goshawk is the only raptor, or bird of prey, in the genus Megatriorchis. 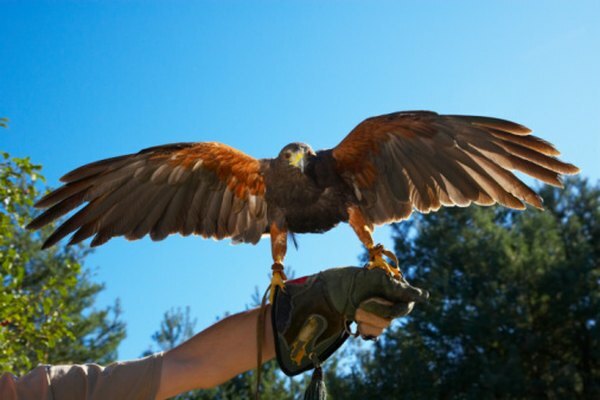 It is one of the largest hawks with a length of 69 cm. It lives in the lowland rain forests of New Guinea and Batanta Island.